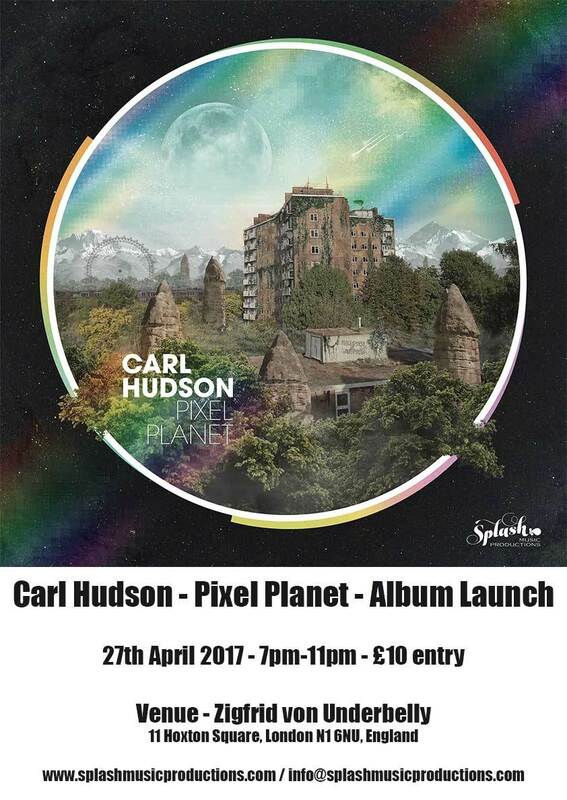 Splash Music Productions are proud to introduce the launch night of ‘Pixel Planet’ – the spectacular new Album from Carl Hudson. Eclectic, Futuristic, Soulful, and Danceable. Carl Hudson’s follow-up album to the critically acclaimed ‘Zoology For Martians’ doesn’t disappoint. ‘Pixel Planet’ oozes class from start to finish. His wizardry on the keyboard and his willingness to experiment with sound and melody, combine to create an aural extravagance that propels the listener to another world and compels their feet to dance.